Since set top boxes have become so popular, there are now a number of TV’s with built in WIFI and the ability to watch streaming Internet content like Netflix. 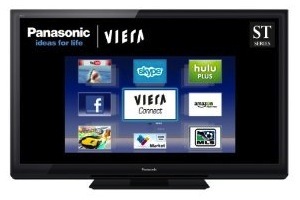 On the large side, with all the bells and whistles is the Panasonic VIERA 50-Inch 1080p 3D Plasma HDTV.. This unit usually sells for $1499, but Amazon is having a Black Friday-CyberMonday sale on it for $804.96 (with free shipping) – a 46% savings. Not big enough for you? 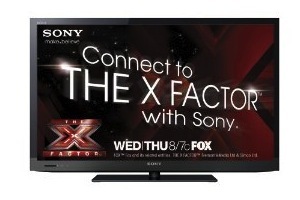 They are also offering the 65″ version of this TV for $1969 – 46% off the normal price of $3299. If you are looking for a small Internet connected TV, Amazon is also having a Black Friday-CyberModay special on the Internet Ready Sony Bravia, a 32-inch 1080p LED HDTV with Integrated WIFI. Sale price: $599.99 with free shipping. This entry was tagged black friday. Bookmark the permalink.